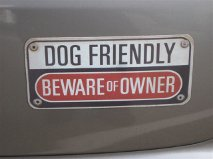 Kelley's Dog Blog: OWNING A PET IS NOT A RIGHT!!! As I've mentioned before, I am an animal control officer. It's nothing like you see on Animal Planet. I am not "a voice for the animals" and I don't spend my days saving puppies from the perils of hoarders and puppy mills. Mostly I deal with stupid people and try very hard not to hit them with my truck. I've been doing this for over seven years and I haven't run anybody over yet. Trust me, that's a lot of will power. Pets are expensive. DO NOT get one if you cannot afford to care for it. This includes food, supplies, vaccinations and regular vet care. It may also include pet deposits and municipal licenses. Pets are time consuming. DO NOT get one if you are not able to spend time with it. Does your work schedule allow for quality time with an animal? If you would rather spend your off time partying with your friends and going away for the weekend please get a plant instead. Pets are a long term commitment. DO NOT get one if you are unable or unwilling to spend 10+ years with the animal. Puppies and kittens lose their cuteness quickly. Are you willing to go through adolescence and geriatrics as well? Are you willing to care for a pet when your circumstances change -- i.e. a new job, relationship, or baby? Pets are social creatures. DO NOT get one if you are only going to tie it up, throw it outside or leave it in a cage all day. This is just plain cruel. Pets are individuals. DO NOT get one if you cannot accept your pet for who he is, not what you want him to be. Even though your friend's Lab is a calm couch potato, yours may need a 30 minute run every morning to keep him from destroying the house while you're at work. Your collie may never be as smart as Lassie. Will you be able to love him anyway? Pets are annoying. DO NOT get one if you are not willing to train and socialize it. A bored animal will bark, howl, dig, chew, jump, poop, spray and irritate the neighbors. Pets are stinky. DO NOT get one if you do not want to pick up poop or clean litter boxes. Pets are promiscuous. DO NOT get one if you can't get it fixed, else it will be making and having babies as often as possible. An intact animal may also be more aggressive and exhibit annoying hormone-related behaviors. Cats will yowl, fight and spray, whereas dogs will jump fences and pee on everything. Pets are a liability. DO NOT get one if you are not in a stable living situation. Not all landlords, homeowners associations or insurance companies will accept your pets, especially if they're pit bulls or exotics. This limits your choices should you have to move. Pets are a big responsibility. DO NOT get one if you are not willing to take care of it -- not your child, parent, spouse or roommate. If you don't personally have the time, energy or desire to take on the responsibility of caring for another living being, please put off getting a pet for now. You can always revisit the issue when your circumstances change. If these warnings haven't swayed you, then hopefully you'll enter into pet ownership with your eyes wide open. Pets can be a wonderful addition to your life, bringing joy, merriment and unconditional love. When adding a pet to your family, please consider a shelter animal. Too many of them were previously owned by someone oblivious to the information above.